Mr Boswell looked down at the table between us, inhaled deeply and began to explain the haunting. “A few years back, my son and I were driving down to a fair when we saw this green bow top wagon sat in a drive off to the side of the road. I thought to myself that it’d be a wonderful addition to the museum, so I went and knocked on the house next to it, to see if it was for sale. A lady answers the door and tells me immediately that it isn’t. I was disappointed, but she said that if she ever changed her mind, she’d get in touch. Now, as mentioned I consider myself a sceptic, but if anything can creep me out it’s child-ghosts. 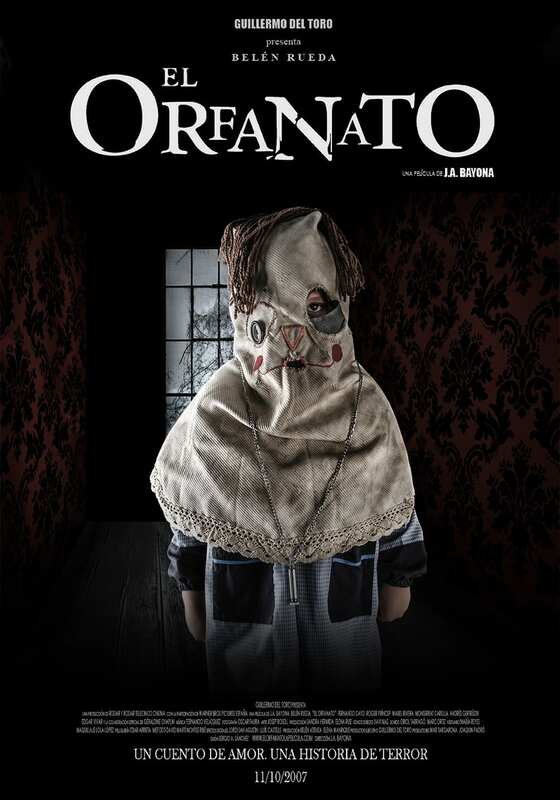 You’ve seen Guillermo Del Toro’s El Orfonato (The Orphanage)? Don’t, it’s terrifying (except do, because it’s excellent). Anyway, at this point in Mr Boswell’s story a rare shiver frequented the length of my spine. 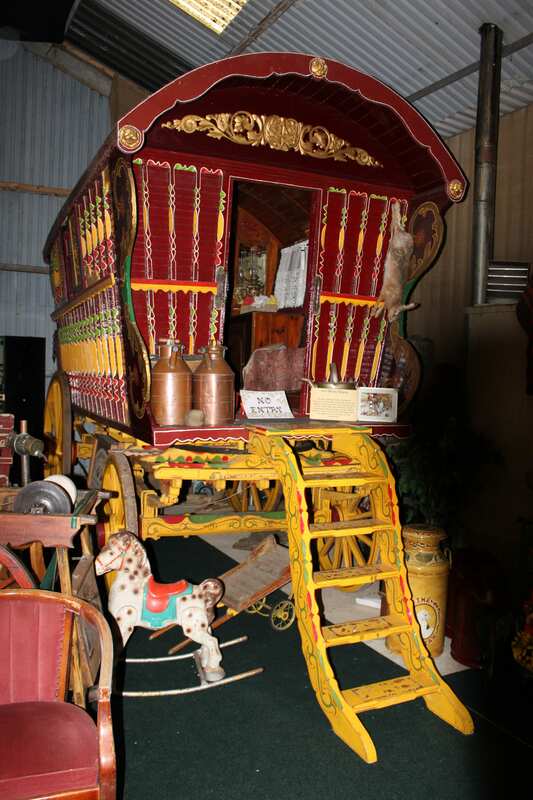 “So you took the wagon anyway?” I asked. 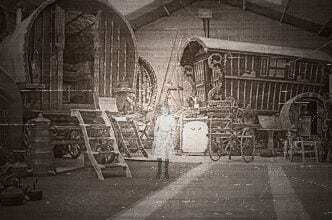 Read the chilling conclusion to ‘The Ghost of Gordon Boswell’s Romany Museum’ in Part III. 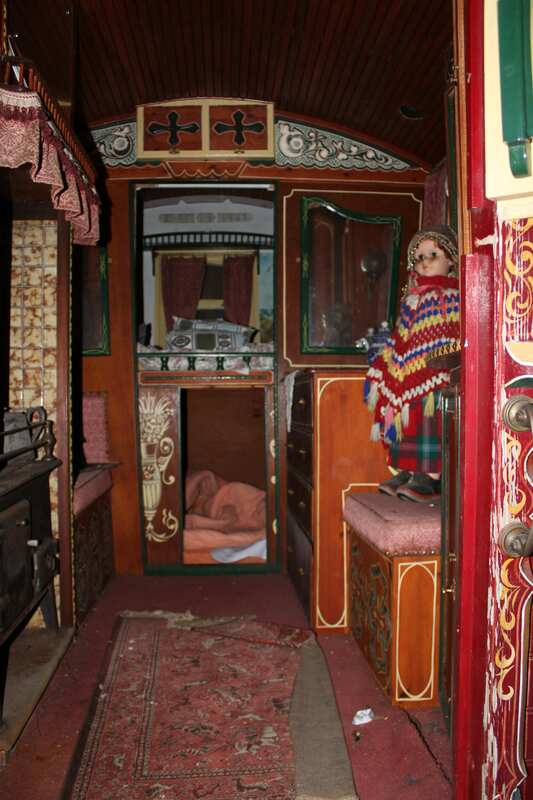 In a quiet corner of Clay Lake, a few minutes’ drive away from the hustle and bustle of Spalding High Street sits Gordon Boswell’s Romany Museum, founded and run by Mr Boswell and his family. 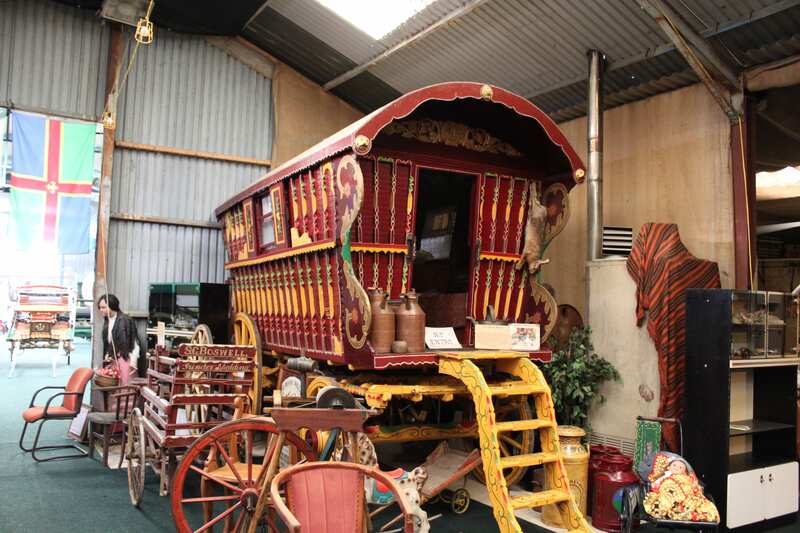 The museum houses what is said to be the largest public display of traditional Romany Gypsy vardos (wagons), photographs and memorabilia in the world so, naturally, I called and made an appointment to visit the museum the second I found out about it. It was on a blustery grey Thursday that I pulled into the yard of the museum and got out to find the front doors to the building locked. I was almost an hour early for my meeting with Mr Boswell so was unsurprised when my knocking went unanswered. Undeterred in my rudeness, I went and called at the front door of the house next to the museum (I had been reliably informed that this was where Mr Boswell lived), and was received by Mrs Boswell who kindly took me through to the back of the museum where we found Mr Boswell in the middle of his previous meeting. I (finally) felt bad. Especially when Mrs Boswell accused her husband of forgetting about his meeting with me. “No, no! I’m early, I’m very early.” I bleated, guiltily. Mr Boswell graciously ignored my bad manners and said that I was welcome to have a wander around the museum whilst he finished up his current engagement. 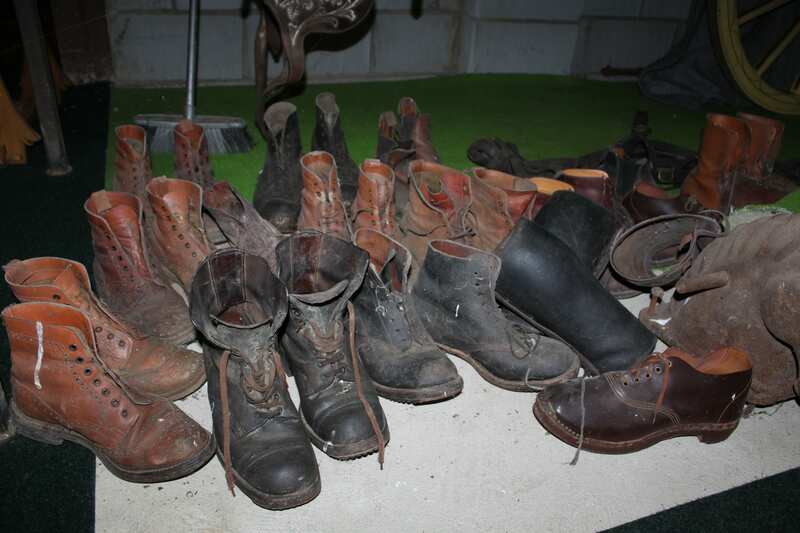 The museum is packed with wonderful things to look at and learn about. 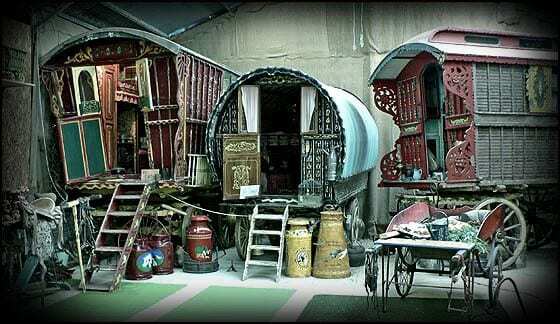 The Romany Museum, I discovered, is a difficult place through which to wander casually (or, indeed, quietly). There are so many vibrant and fascinating displays to see and read about that one ends up dashing from thing to thing, gasping audibly at the excitement of seeing so many beautiful objects in one place. Large vardos of every colour line the walls, making the entire space look like something from a fairy-tale. 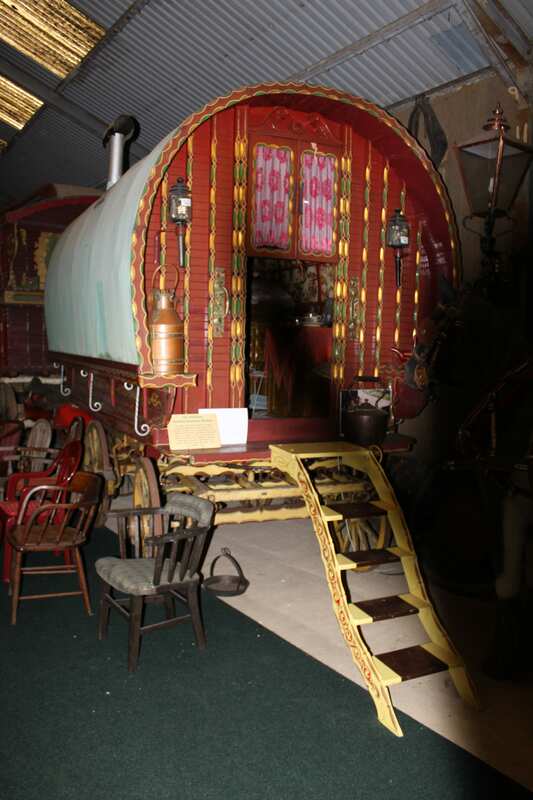 Ten minutes into my exploration, I was nosily poking my head around the inside a reconstruction of a fortune-teller’s tent (complete with mannequin dressed in traditional Romany fortune-teller’s garb) when I heard Mr Boswell calling me from the other side of the museum. As we went to sit down in the museum café, I apologised for my early arrival, and for intruding on the previous appointment. Mr Boswell didn’t return my light-hearted expression. The corners of his mouth turning down, I realised that he was quite serious. 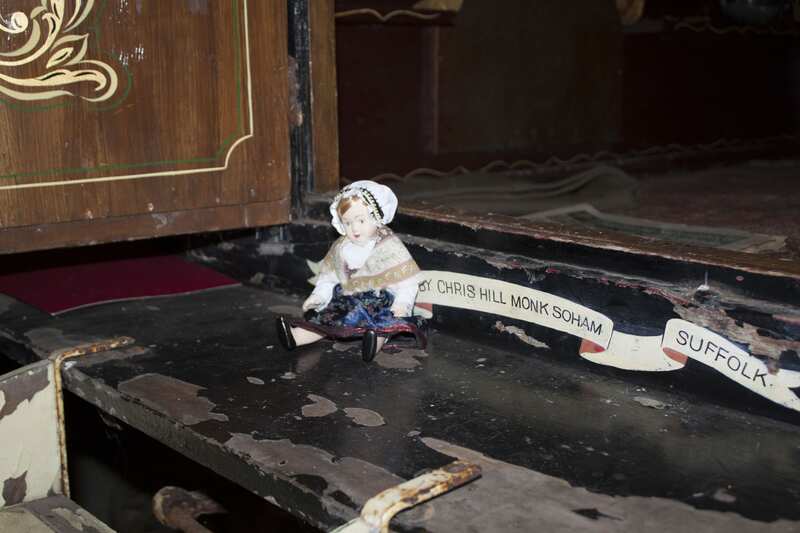 Read on, in The Ghost of Gordon Boswell’s Romany Museum Part II.